Our fondest wish is for you to be successful in completing all the requirements for your chosen graduate certificate or degree. We recognize that this scholarly endeavor will require much time and energy from you over the next several years. Please be assured that we will be available to help you earn this most prestigious academic award from UCF. The purpose of this handbook is to aid you in understanding the context of graduate education at UCF. The goal is to provide you with resources, information, practices, and polices that will help you in navigating the graduate experience. While we have made every effort to include all of the requirements, policies, and procedures that relate to graduate study in this handbook, we also recognize that, from time to time, it will be necessary to revise, add, or delete certain of these items. Accordingly, while we believe that this handbook is both complete and accurate, any errors or omissions are subject to the appropriate University, college, or department policy, which take precedence over the language of this handbook. Further, we reserve the right make changes, as required and appropriate, through customary university governance procedures. Finally, this handbook is not intended to be used in isolation, but rather in association with other university documents relevant to the completion of your certificate or degree. Another central resource for you is the Program Handbook for the degree or certificate you have enrolled and the Graduate Catalog. We hope you enjoy and grow from this academic adventure. This Handbook is intended to familiarize graduate students with the procedures, policies, and expectations of the University of Central Florida Graduate programs from a general institutional perspective. Students should refer to their relevant Program Handbook for more specific graduate information. By reading, understanding, and adhering to the information provided in this document, students may be better equipped for success. This handbook is also designed to help you when you face challenges along your educational path. Further and in support of the Mission Statement and the principles on which it is based, the University of Central Florida is committed to equal opportunity for all students, staff, and faculty and to nondiscrimination in the recruitment, admission, and retention of students and the recruitment, hiring, promotion, and retention of graduate faculty and staff. UCF reaffirms its commitment to personnel and educational policies that comply with the requirement applicable to equal opportunity/affirmative action laws, directives, executive orders, and regulations to the effect that no person at the University of Central Florida shall, on the basis of age, color, creed, disability, ethnic/national origin, gender, military status, pregnancy, race, religion, or any other class protected by applicable law, be excluded from participating in, or be denied benefits of, any employment or educational opportunity. We also recognize differences among groups of people and individuals based on ethnicity, race, socioeconomic status, gender, exceptionalities, language, religion, sexual orientation, and geographical area. As an institution, we design, implement, and evaluate curriculum and provide experiences for graduate students to acquire and demonstrate the knowledge, skills, and professional dispositions necessary to help all students learn. This all happens through institutionalized shared governance infrastructures. It is through these shared governance procedures and through relevant institutional policies that we strive to maintain and achieve educational equality. 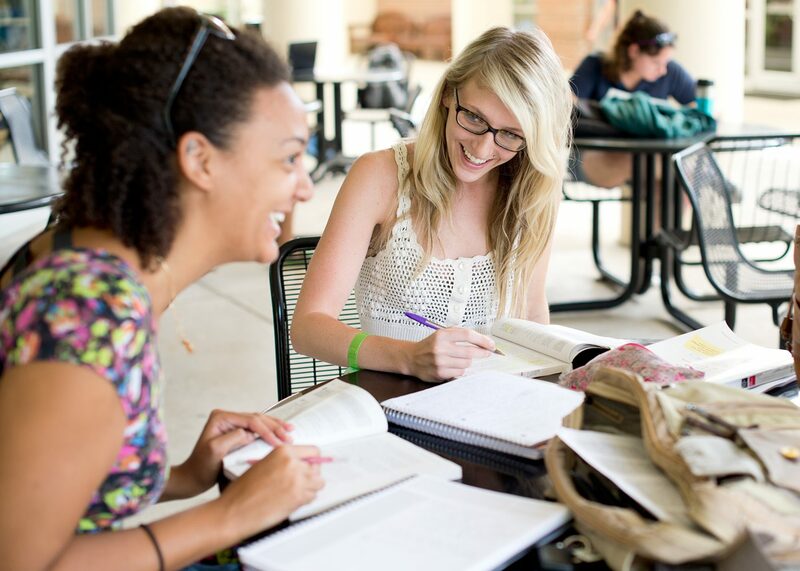 The College of Graduate Studies serves several major roles as it relates to graduate education at the University of Central Florida. Provide quality control and institutional oversight for all aspects of graduate education at UCF and establish policies and standards that define best practice in all graduate programs, high quality in curriculum, and excellence in student selection. Improve the quality of our programs through a variety of mechanisms, including providing funds to recruit the best and most diverse students, conducting regular reviews of programs, and giving special attention to the promotion of diversity and intellectual collegiality in each of our programs. We pay regular attention to the special needs and issues that pertain but are not limited to international students, students from underrepresented groups, and women in certain disciplines. The Graduate School also assumes an important role in promoting integrity in research and scholarship through courses in ethical conduct of research. Serve as the primary advocate for the need of graduate students to be students, so that any service roles they may serve in the university to obtain financial support will be treated as secondary to their need to have time and adequate resources to engage in graduate study. The Graduate School works hard to find the financial and intellectual resources that enable students to successfully complete their degree programs in a timely fashion. Play an active role in supporting all aspects of graduate student life, including those that are not precisely academic in nature. We recognize that the quality of a student’s overall life experience while in graduate school is critical to successful completion of graduate training and to a lifetime of work that can make good use of that training. The Graduate School works with student groups and support offices to promote the interests of graduate students in areas such as financial aid, health care, and counseling. The Graduate School also provides professional development opportunities to explore academic and nonacademic career prospects for recipients of graduate degrees. Serve as the main institutional body that oversees and approves all elements related to the matriculation of graduate students in their relevant programs of study. This includes such procedures as monitoring GPA standing, academic appeals, student conduct, and graduation clearance. The College of Graduate Studies is dedicated to and benefits from a student population diverse in background, culture, socioeconomic status, race, ethnicity, and work and life experiences that contribute to a fuller representation of perspectives within the academic life of the university. As part of a larger institutional commitment to promoting a diverse student body, we encourage applications from all sectors of society, including prospective graduate students whose life experiences may include the challenge of access due to a disability. In support of this graduate context, we are also actively working toward establishing and utilizing holistic review of all our graduate applicants. Research shows that this admissions practice increases the diversity of the graduate applicant pool. Enroll a student population whose family income reflects the distribution of the region. Enroll a student population that reflects the demographic distribution of the region. Enroll students from traditionally underrepresented groups. Establish efforts through graduate education to solve significant community challenges such as hunger, homelessness, public health, or quality of life. Develop university activities and partnerships that can diversify the region’s economy. Provide students with sufficient funding to complete their graduate studies in a timely manner. UCF also adheres to Section 504 of the Rehabilitation Act of 1973 and the Americans with Disabilities Act of 1990 (ADA), as amended by the Americans with Disabilities Amendments Act of 2008, in prohibiting discrimination against any qualified individual with a disability. Any student with a disability may voluntarily self-report the nature of the disability and identify needed accommodations to the Office of Institutional Equity. For detailed information regarding admission procedures and classifications, please refer to the Admissions material in the Graduate Catalog. For detailed information regarding registration procedures and classifications, please refer to the Registration material in the Graduate Catalog.